What are PLG team members doing when they're not hard at work? In the spirit of not working (PLG is closed both Thursday and Friday for the Thanksgiving holiday) we asked a few of our team members to submit a photo of something that they did out of work. Below are a few. 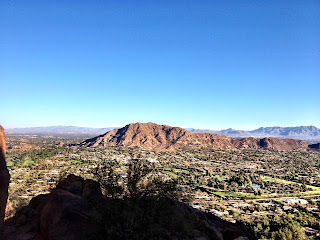 Eric, our business development director, and his girlfriend on a weekend hiking trip on Camelback Mountain in Scottsdale, AZ. 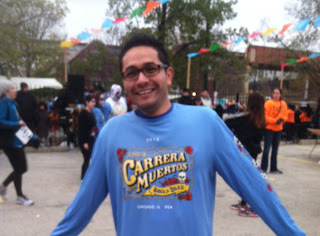 Raudel (our Spanish-speaking program manager and web localization analyst) in the cold morning warming up for "Carrera de los muertos" 5K race (Race of the Dead) in Chicago's Mexican-American Pilsen neighborhood. After the race, food vendors line up to offer warm food like pozole (hominy soup) and hot beverages like ponche (a traditional Mexican holiday fruit punch) to the 5K runners. "It made running the 5K worth it" Raudel said. Tina and her husband on the Willis Tower Skydeck ledge where few people dare to go. (The Willis Tower is previously known as the Sears Tower, and to many Chicagoans, the name Sears still remains). That's it for this month! Enjoy your Thanksgiving Holiday! Tina playing the Chinese game “Mahjong” at her brother’s house. This version of Mahjong is played with a table that automates the process. Mahjong is a game of skill, strategy and calculation. Go, Tina, Go! Here we have a traditional Chinese dish, Stir fry eel with pork. A little spicy, Tina warns. When something on the Menu is labeled “Sichuan style” – it means spicy. Tina goes for good old American fast food at a KFC in Beijing. She noted how the food was mostly the same with some local flair. The price for a bucket of chicken is nearly the same as in the U.S.
Tina at a KTV (karaoke television) singing “old Chinese songs” she says. Street at the center of Beijing, at Chang'an Avenue (Eternal Peace Street) is Beijing’s most famous street, like the Champs-Élysées is to Paris. Tina at the pastry shop buying a birthday cake for her dad (who is turning 82 this year). Congrats Dad! Just hop on the right bus number Tina says. But will it be that easy for those of us who don't speak Chinese? Xinhuamen, the "Gate of New China" which serves as the central headquarters of the Chinese government. It's like the "Chinese White House" Tina says. And last but not least, Tiananmen Gate, the gate to the Forbidden City. Thank you Tina for sharing your experiences with us! The Project Manager is one of the most important roles for getting a translation project completed. 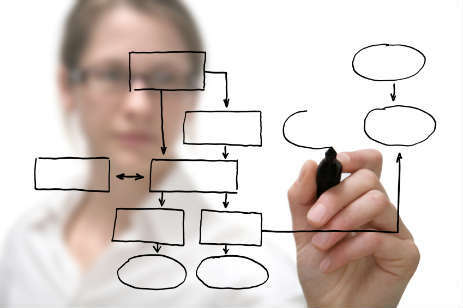 A good project manager must manage time and maximize cost savings without compromising quality. Today we interviewed one of our project managers, Crista Busse. Crista’s job includes finding the best translator or interpreter from a list of over 1,600 professional translators. She may also do some file preparation work before sending the project to the translator so the translator can spend more time translating and less time on file management and other “tedious” work. After she receives the files back from the translator, Crista double checks that the requirements have been met and then forward the translation to the editing or quality assurance team if second-person editing is part of the project scope. Client delivery is usually but not always the final step. After Crista delivers the project to the client, she is available to answer any further questions that the client may have. I am fluent in French, know some Spanish and some basics of Italian and German (mostly know grammatical information, rather than vocabulary). What is your favorite language to work with? French, Spanish, Italian and German. Since these are the languages I know best, it makes them easier for me to work with, but I also enjoy learning so working with these languages allows me to learn more of them each day. Using my linguistic knowledge/background on a daily basis, understanding grammatical rules (I’m a bit of a grammar nerd), learning new things every day and organizing/managing projects. What is the most challenging language to work with? Thai is probably the most challenging language for me for multiple reasons. One, I don’t know the language at all. Two, it’s a different character set than the EFIGS (English, French, Italian, German and Spanish) languages I know. And three, I have learned that Thai doesn’t break words the same way as we do in EFIGS so we must have a native speaker review for line break problems after typesetting. Do you have any more questions for Crista? PLG announces that it has extended its packaging translation and compliance review services for the Mexican Market. Previously, PLG offered compliance review services for Canada only. Mexico is the second largest importer of U.S. goods after Canada, purchasing billions in American electronics, transportation equipment and machinery – and increasingly food products such as beer and cheese. PLG leverages its rich experiences in Spanish and French translations and in-house Spanish- and French-speaking project managers to offer packaging compliance services for Canada and Mexico. 80% of the labels that PLG translates and reviews are food labels but also offers compliance services for retail and other consumer goods. In Canada, food and beverage packaging regulations are set by the Canadian Food Inspection Agency. 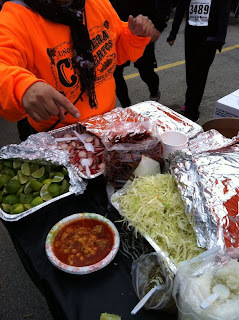 In Mexico regulations (called NOMs) are set by La Secretaría de Economía. For Mexico, a certificate known as Constancia de Verificación (CDV) is required but there is no such certificate issued in Canada. PLG has partnered with private and governmental agencies in Mexico and Canada to supply Canadian/Mexican labeling compliance review and the issuance of the Constancia certificate to clients in North America.